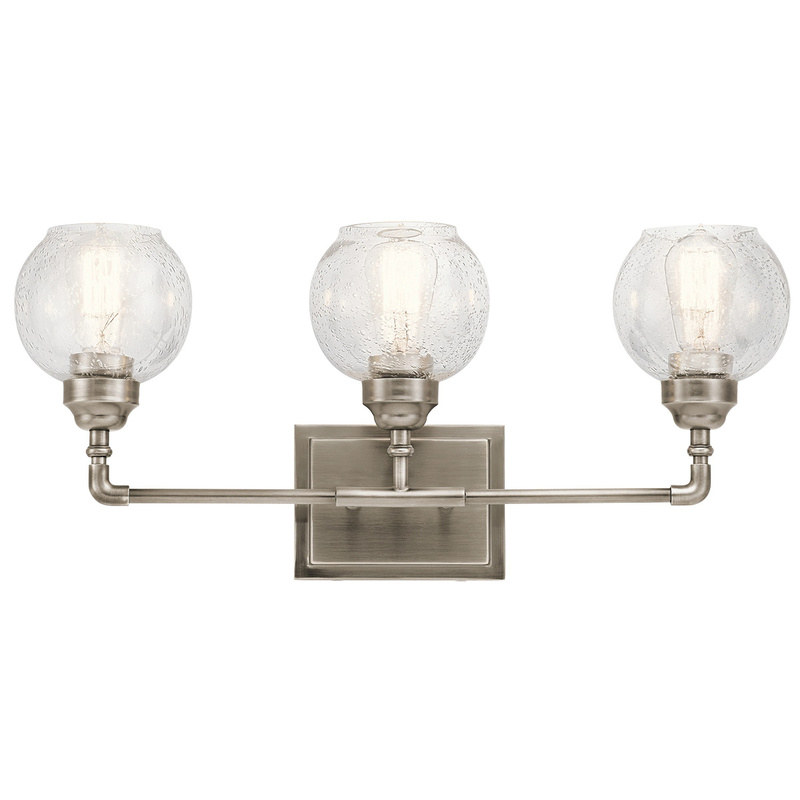 Kichler Niles Collection 3-Light bath light in antique pewter finish, features steel construction. The clear seeded glass shade brings elegance to the home. This light uses three 100-Watt A19 medium incandescent lamps that have voltage rating of 120-Volts. It measures 24-Inch x 10.75-Inch. This light has 7.25-inches of extension from the wall and firmly attaches to the wall/ceiling surface using a backplate of size 6.75-Inch x 5-Inch. Light is UL listed. * Inventory displayed is accurate as of 04/25/2019 07:40 EDT.